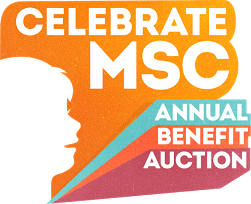 Tickets are now available for Celebrate MSC, this year's annual benefit/auction, on Saturday, March 28, 2015. All proceeds from the event will go towards making our great school even better! The evening will include silent and live auctions, food, drinks, dancing, and much more! Join us for this wonderful event celebrating our school and our community, and invite friends and family to participate as well. Purchase this month and get your tickets for just $85. Click here to get your tickets now. Also as a reminder, we need more volunteers to get involved in planning the event - visit http://ps333.org/celebrate for more information. Finally, we would love for every family to solicit at least two donations for items to be sold at auction! Paper donation forms are available in the lobby, and can be accessed at http://ps333.org/celebrate. If you have any questions, please contact mscauction@gmail.com.